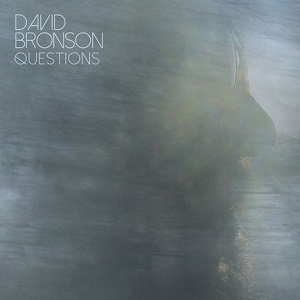 Last year David Bronson released his debut album, "The long lost story". It was a 22 track autobiographical double album that he'd taken a decade to write, and now just a year later he's back with his second album, Questions. I say second album, but you may also see it described as his third album since the debut was actually released in two parts - "The long lost" and "story", although it is intended to be listened to as one double album. "Songbird" gets the album off to a great start - he plays acoustic guitar and sings, but there are also female vocals which work really well in lifting the song up to a new level - without them it would be a good song, but with them it's far better. It's a good indication of what to expect from the album - check it out using the player below. As well as the guest female vocals from Robin Clark, he's also joined by Carlos Alomar, Robbie "Seahag" Mangano and his daughter Lea-Lorien Alomar playing guitar, and Lautaro Burgos on drums. There are also guest male vocals from Godfrey Diamond. The album blends folk, gospel, soul, pop and more. The core of the album is him singing as he plays acoustic guitar, but it's the added elements such as the female vocals that really add a lot to it and make it a far more interesting album to listen to. The songs are well written and sound great. I particularly like songs such as "Song of life" or "Songbird" where the male and female vocals are intertwined, giving a great sound - his voice alone doesn't appeal to me quite as much as where there are the two vocals. Use of other instruments is done well, keeping it fairly minimal but adding them where it can enhance the song, often in a fairly subtle way. A great album, well worth a listen.